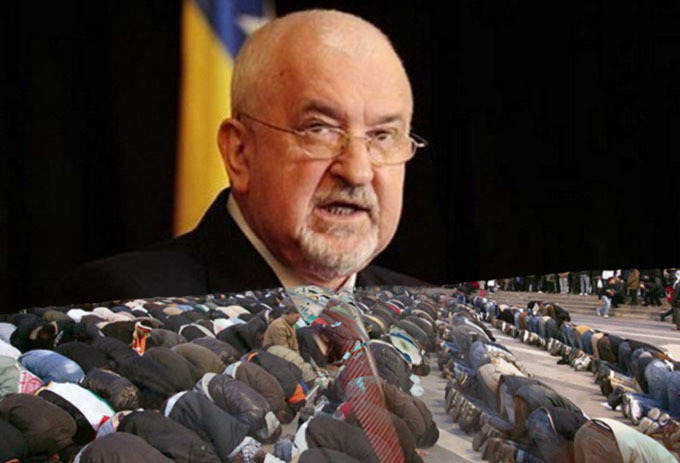 After the civil attack in London and Manchester, Dr. Mustafa Ceric, Grand Mufti Emeritus of Bosnia-Herzegovina, sent "An Appeal to the European Muslims: Let Us Have a Common Word with Our Neighbors". He got a response from Religions for Peace from New York stating that these acts were unjustifiable and it is noted that they shared dr. Mustafa Ceric’s heartbreaking discoveries with all Religion leaders and etc. 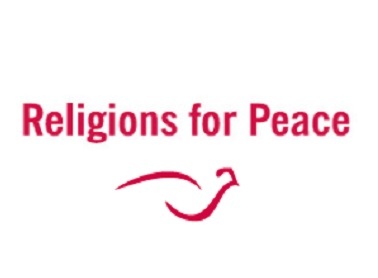 We recommend that you read Ceric’s appeal and the letter from Religions of Peace. Dr. Mustafa Ceric, Grand Mufti Emeritus of Bosnia-Herzegovina: My faith is not the knife! My faith is not terror. My Allah is Loving and Merciful! My faith is common sense and a warm word. But how am I going to explain it to my neighbors in Europe? After the Manchester and London attacks, they have no will to listen to me anymore. They don't buy my faith's stories of love; they don't care about my faith's beautiful narratives. Every act of religiously motivated terror involves a double violation. First--most importantly - our hearts and prayers are with the victims of terror. As we reject and condemn this kind of cowardly and despicable violence, we grieve for the victims, their families and their communities. Second, we know that these very same acts of violence also grievously wound and defame the religious community in whose good name this violence was wrongly perpetuated and falsely justified. Religions for Peace is rightly concerned about both elements of this double violation. We also know that it takes enormous courage for sincere believers within any religious community to face the presence of violence within it. We admire, support and draw strength from such courage. Attached you will find the anguished searching reflections of H.E. Dr. Mustafa Ceric, the Grand Mufti Emeritus of Bosnia-Herzegovina. I felt that you might appreciate these courageous reflections. They are shared with permission and in solidarity of our global Religions for Peace movement. There is no recipe for success, but there is a recipe for failure. The recipe for failure is violence "in the name of Allah." I have never felt so shocked nor so shameful as a I felt while listening to the world media about the bloody London Bridge attack claiming to be done "in the name of Allah." I cannot accept it because this is not my faith. This is not the Allah I believe in. My Allah is not a hater! My Allah is not violent! My faith is not the knife! My faith is not terror. My Allah is Loving and Merciful! My faith is common sense and a warm word. But how am I going to explain it to my neighbors in Europe? After the Manchester and London attacks, they have no will to listen to me anymore. They don't buy my faith's stories of love; they don't care about my faith's beautiful narratives. They are no longer interested in the stories of my faith. They want to know what I have done to stop the bloody violence "in the name of Allah" in the streets of Europe! I have done a lot, but it seems it is not enough. I confess, I have never felt so confused and so helpless to explain what is going on in and around my faith community. I was interpreting it as a conspiracy against Muslims. I consoled myself that it was just a transitory episode. I argued that it is an act of extreme minorities. I have been avoiding to be pressed by it. I explained that it is just a political game by big powers to gain the Muslim wealth. And I was listening to those who say: "They hate Muslims." This was all I could think of to avoid the clear and loud confession that my Faith community has a big problem in and around itself. But now I confess: my Faith Community has many problems. And the biggest of all is the problem of denial as well as the delegation of its problems to others to be solved. I have realized that I have to be clear and loud that my Faith Community has a problem, which can no longer be denied, nor can it be delegated to others to be solved. Indeed, my Faith Community (my Ummah) must solve the problem within itself before it can solve the problems around it. Indeed the problem inside of my Faith Community is much more difficult and dangerous than the problem outside of it. I know there are those who will assert that I believe that the bloody attacks against innocent civilians in Manchester and London are more important than the attacks in Palestine, Kabul, Mosul, Sa'an and Misrata. It is not more important, but it is certainly more dangerous for Muslims in Europe, a majority of whom have fled from Muslim majority countries to seek peace and security for their children in Europe. Now, this peace and security that they have experienced so far is greatly threatened. After the attacks in Manchester and London, and before that in Paris, Berlin and Zurich, a great cloud of uncertainty hovers over Muslims in Europe. European Muslims must be aware of this. Therefore, the European Muslims must be loud and clear not only to condemn the violence "in the name of Allah," but they must also take concrete steps against the abuse of Islam in any way. European Muslims must have a united, clear and unequivocal voice in the fight against violence claimed to be in "the name of Allah." It is no longer a matter of the good will of individuals and groups working on interfaith dialogue, but this is an existential question of Islam and Muslims in Europe. Therefore, I urge European Muslims to immediately gather around the "common word between us and them," our neighbors in Europe, regardless of their faith, race and nationality to take an oath before God, ourselves and our neighbors in Europe to cherish and promote peace, security and neighborly cooperation to which we are bound by our Islamic faith and our Islamic culture. Indeed, we must take an oath that we will do whatever it takes to fight violence against innocent people together with our neighbors. We, the current generation of European Muslims, owe this to our descendants -- we must not leave our debts to our innocent descendants! There is no time for hesitation! There is no room for calculation! There is no excuse for procrastination! There is no justification for waiting! There is no salvation in silence! There is no point in indecision and indifference! There is no collective innocence without the conviction and the isolation of individuals! There is no future for Islam or Muslims in Europe except in coexistence and tolerance with our European neighbors! If we do not do our sacred duty today, our descendants will curse us tomorrow for our failure!